This Administration of Courts (AOC) search includes criminal circuit court records from Arkansas circuit courts. Data includes felony, misdemeanor, and violation offenses. This data may include: name, date of birth, arrest data, filing date, charge(s), disposition(s), county, case number, and sentence. This data set is updated daily. This dataset contains current and historical criminal records on inmates and probationers that are or have been under the supervision of a state correctional facility for felony convictions. This data may include: name, date of birth, county case number, charge or charges, disposition, disposition date, verdict and sentence. This data set is updated quarterly. An Arkansas County search covers the Circuit courts for Felony cases only. Average turnaround time is 1-4 business days. The county criminal background check covers the past 7 years and will return convictions or deferred judgments. Some county criminal background checks may take longer due to court procedures or if additional records need to be ordered. Counties with longer turnaround times than the average: Randolph. Click here to order an Arkansas County Criminal Search. 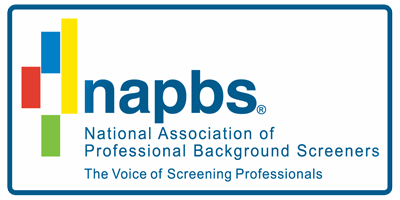 Arkansas AR Background Records are most commonly used for Arkansas Tenant Screening criminal records in Arkansas and other states and Arkansas Employment Screening for human resources and small business who check criminal backgrounds for Arkansas pre-employment screening. Many others use Criminal Records for self checks, nanny checks, babysitter criminal background record searches, and private investigations. Arkansas Criminal records are public information and as such are accessible to everyone. Our job is to share that accessibility to everyone, as we continue to push the industry away from lengthy, difficult, hard to read, and very expensive criminal background searches. We will continue to develop our network of criminal providers, and work to enhance the quality of criminal records, the criminal background industry, and to make more criminal data available instantly. The State Abbreviation for Arkansas is AR. The terms criminal record and criminal background records are used interchangeably.